← I Got Roses From a Man That Isn’t My Husband! Some of you may know that we have three dogs. If you don’t, well, now you do. Now, unless you have three dogs, you may not realize what a mess they make. The shed, they track in dirt, the don’t believe food should be kept in their bowls. It gets a little crazy keeping up with them. Before Lucas was born I used a lot of carpet powder to help keep the carpets looking clean and the odor at bay. 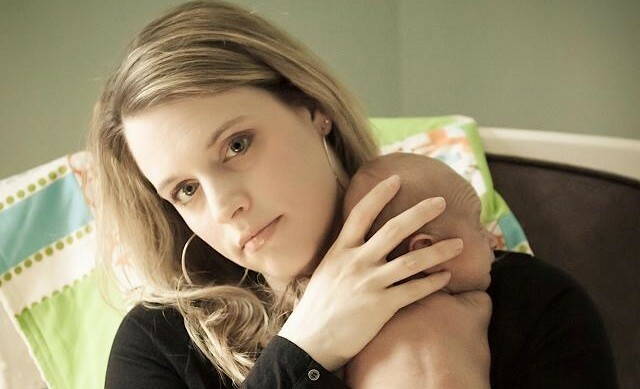 Once I had a sweet precious baby who was laying on the floors and then crawling everywhere I just didn’t feel comfortable using it anymore. I was always so afraid I’d miss a spot vacuuming and somehow Lucas would get some in his mouth (I was a crazy first time mom worrier!). So I just stopped using it all together. About a year ago I was introduced to the world of Essential Oils. They have changed the way I treat injuries and illness and even how I clean! 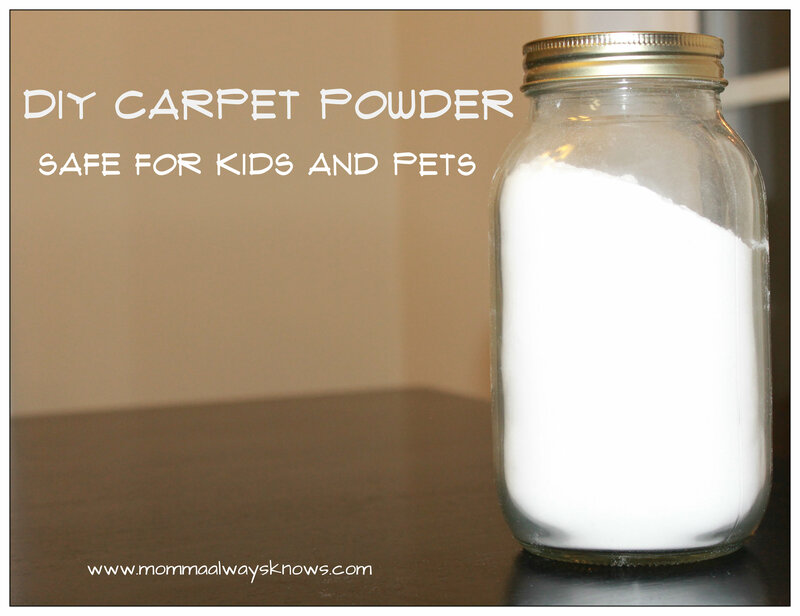 With just two ingredients I have started using carpet powder in my house again and my carpets (and my nose!) are so grateful. This is really super simple to make – it takes about three minutes! 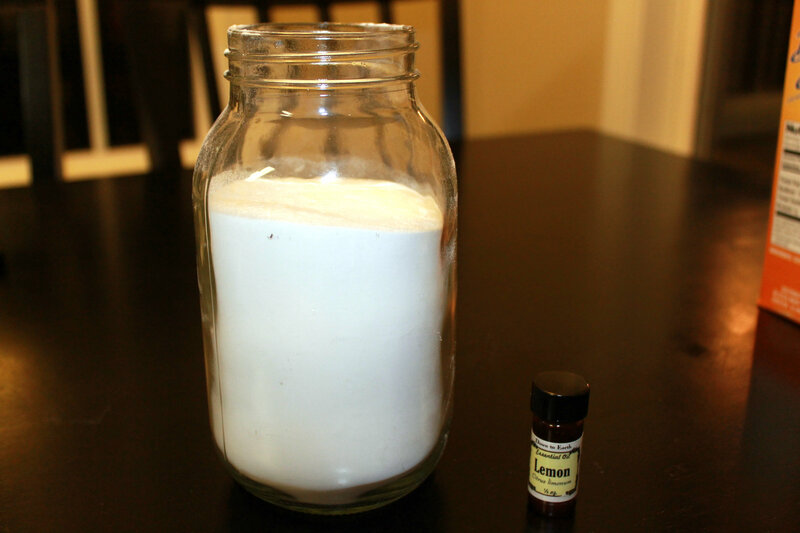 First, add the baking soda to your mason jar – I had a 32 oz jar so I filled it almost to the top. Add in your essential oil. Like I said, I used about 25 drops but you can adjust it depending on how strong or mild you want the scent to be. Use the knife to stir it up. 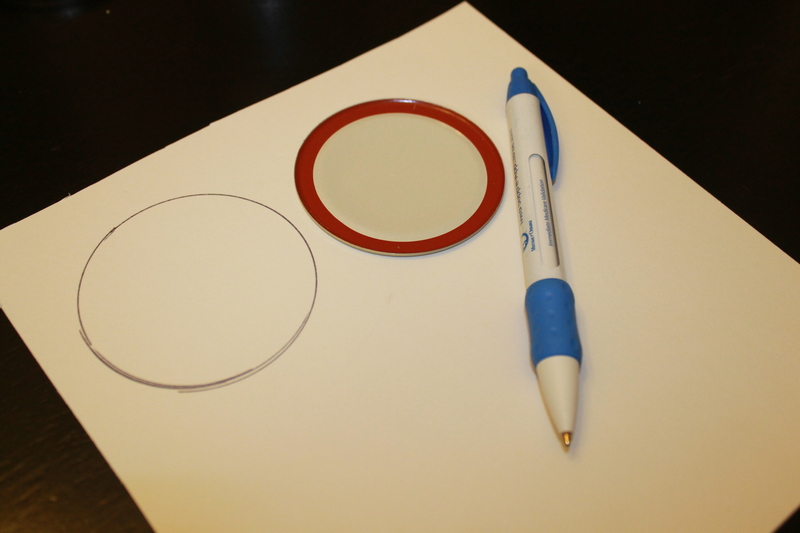 Then I took the sealing part of the lid and used it to trace a circle in the poster board. I cut it out and used my hole punch to make holes. I only have a 3-hole punch so my holes are all around the perimeter but you cut put them where ever you’d like. Secure the hole-punched poster board with the screw on portion of the lid and you’re ready to go! See, I told you it was super easy. I’ve refilled my jar a few times now and played around with the scent a bit. I am loving this natural, kid friendly and awesome smelling powder. If you haven’t used oils before, there are several places you can purchase them. Just make sure they are of a high quality. I purchase mine from a local shop, but I have a lot of friends and family that use Young Living Essential Oils. My friend, and fellow blogger, Christa has been a great resource for me in learning about oils. You can find out more about Young Living and even place an order by visiting Christa’s site, Love Little Oils. 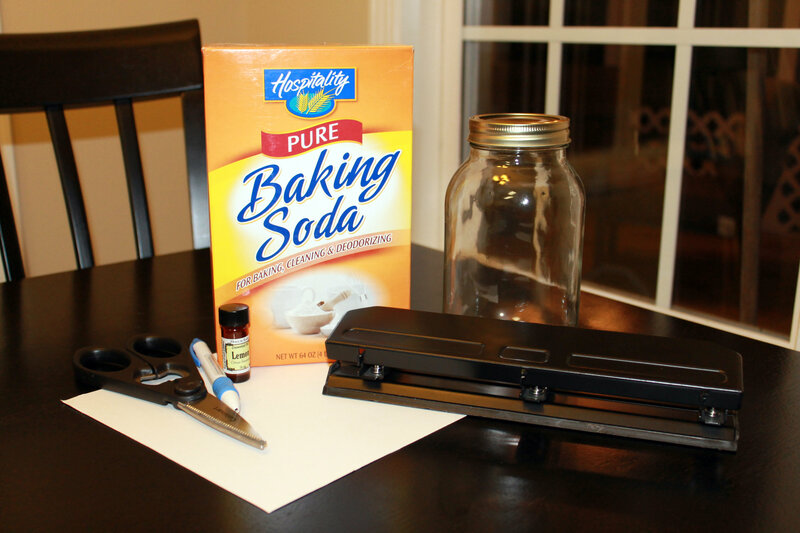 Are you making your own cleaning products? Share some of your favorite “recipes” below!